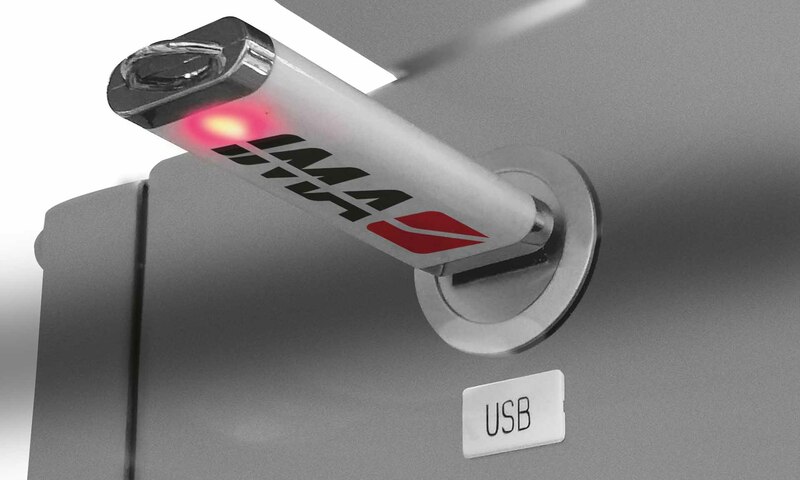 Available in different levels of automation along with the widest range of additional devices, to grant the “state of the art” of single nozzle technology. Performance is combined to simplicity in change-over sequences and quick dismantling of contact parts. Co.Ma.Di.S. 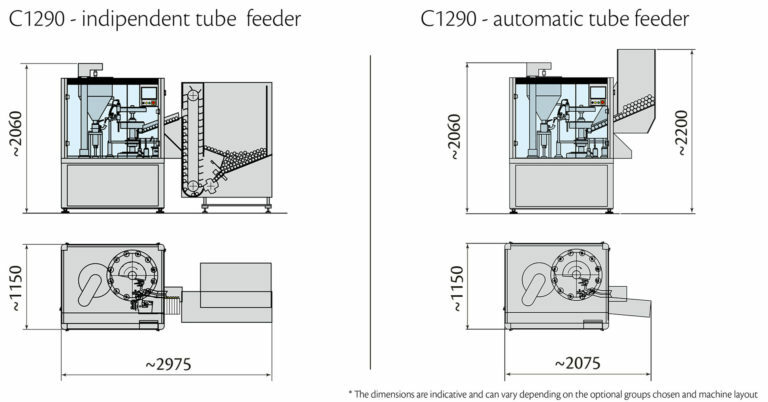 C1290 is a major update of the successful “C1090”, the benchmark model sold worldwide in many different applications, which has proved to offer enough flexibility to be used in various configurations. 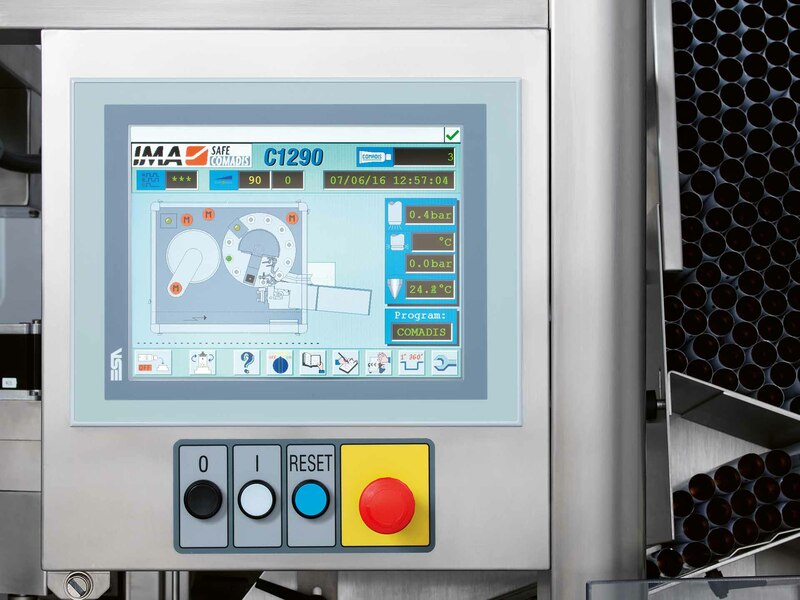 Improved in a number of details, it is now performing tube cleaning by dedicated station, batch data collection via USB port and continuous monitoring – on request – of tube folding and tube crimping areas. Multicolour toothpaste filling by special version “C1290T” (capable of co-extrusion for up to three colours - deep stripes). 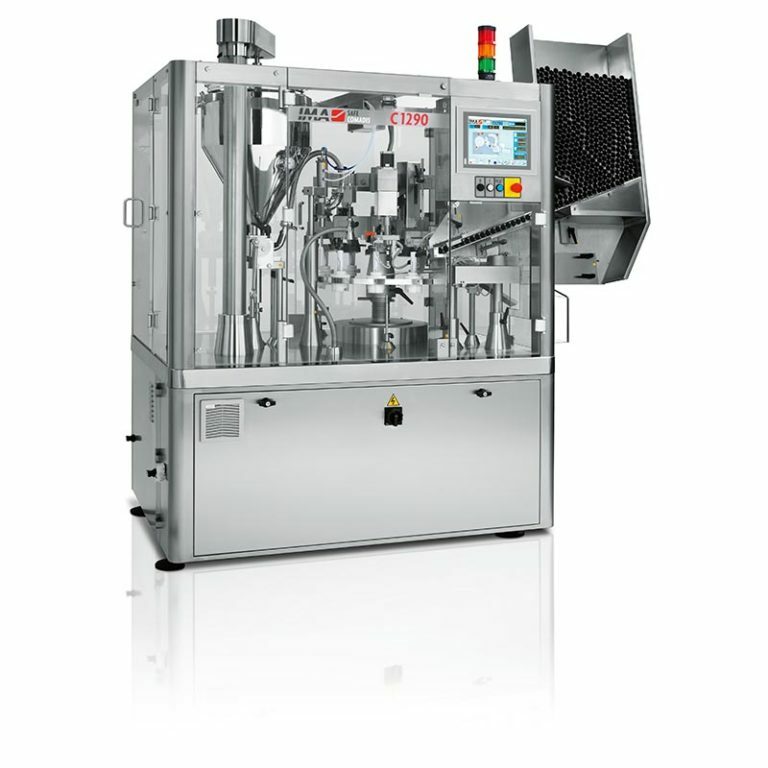 The wide range of configurations include a choice of tube feeding devices: cassette type, independent ergonomic and fully robotized. Outstanding sturdiness and considerable performance are smartly combined to intuitive operation: the dream of users comes true.